The team of hairdressers in central Bristol at Aidan Garlington Hair Design have been blown away recently by the new range of British Hair products, and we wanted to dedicate a blog post on one of our favourite new products in the range. British Hair Fibre is a unisex hair product available at our Baldwin Street hair studio, and it’s a versatile addition to any hair care and hairstyling regime. 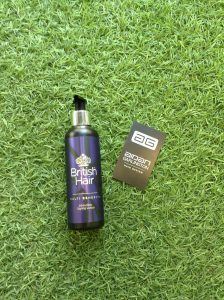 British Hair Fibre is a fantastic hair product for adding texture and hold, and is easy to apply on dry hair. The medium hold level is perfect for shorter hair. Simply apply to hands and work into the hair, it can be washed out and is a wonderful daily usage styling product. The hair stylists at our central Bristol hair salon have been getting amazing feedback from clients recently. It provides everyday hold levels, and is best suited for short hair – but this can be for guys or girls. We love it, and it makes a great impact on unisex hair too. 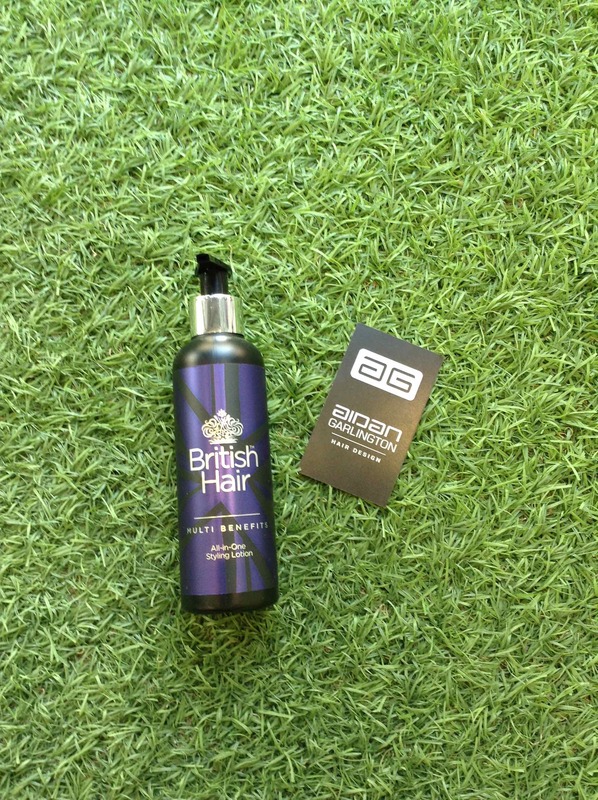 British Hair Fibre comes in a puck, and is priced at only £9.95 in-salon. Ask for further details on your next visit to our Baldwin Street hair studio. 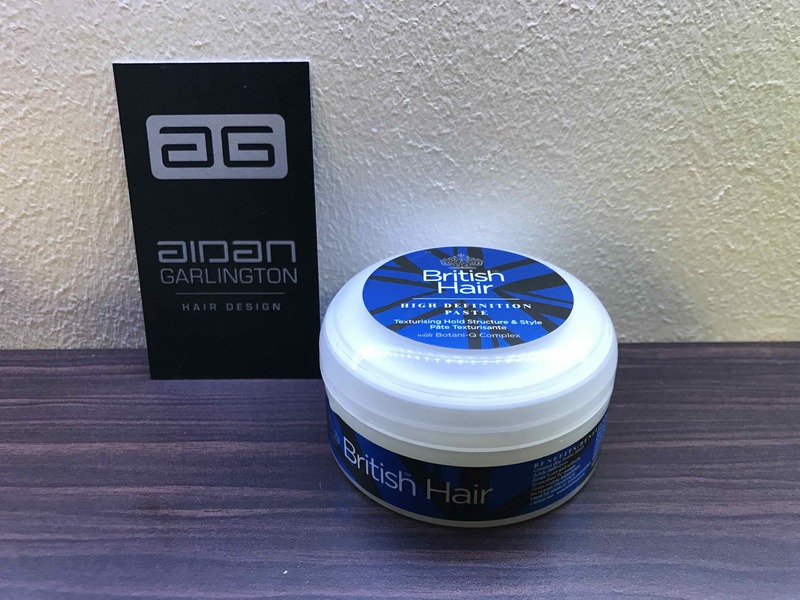 To see the full range of British Hair products, haircare, hair treatments, hairdressing, hair styling, hair colouring, and hair extensions we offer, please get in touch here. 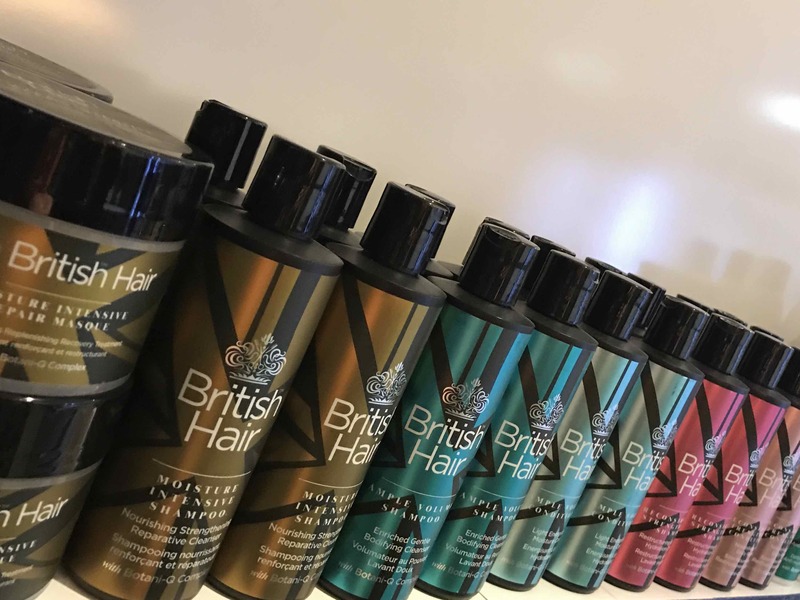 This week at Aidan Garlington Hair Design our team of expert hairstylists are focusing on a favourite new hair product to hit the shelves at our central Bristol hair studio. British Hair Curl Cream is one of a new range of superb hair products now available at our central Bristol hair salon for clients. Using Curl Cream couldn’t be simpler – apply it to towel-dried hair, and blow-dry in. This revolutionary product even has a curl memoriser built in! Curl Cream is versatile, and can be applied onto wet hair or blow-dried for big and bouncy hairstyling. It’s a vegan-friendly hair product, and adds volume as well as providing soft hold to any hairstyle. It’s also non-sticky on application. Provided in easy-to-use pump, two pumps will be enough for any hairstyle, and it only costs £9.95 at our central Bristol hair studio so it represents real value as well as a top-quality hair product for our existing and new clients. To see the full range of hair products, hair colouring, hair extensions, hair restructuring products, hair treatments, and hairdressing services we offer at our central Bristol hair salon, please get in touch here. The hairdressing team at Aidan Garlington Hair Design are pleased to announce a new range of hair products for clients at our central Bristol hair salon from British Hair. The new product range, devised by a hair salon owner in the South West with extensive experience working within his own salon and educating on hairdressing for more than four decades, along with his business partner who has helped in the past to successfully market global hairdressing brand TIGI, are called British Hair. 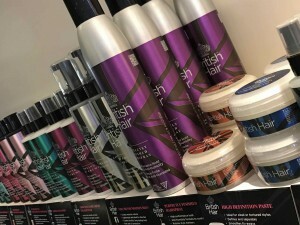 The new product range from British Hair – 14 hair products in total – include hair styling and hair conditioning products, all competitively priced at £9.95, apart from the intensive mask treatment which is £11.95. 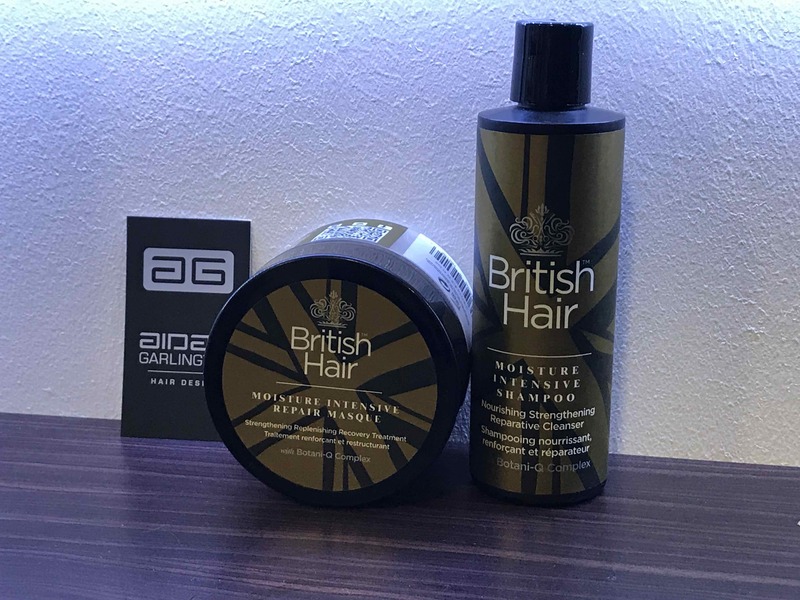 The British Hair products – now available at our Baldwin Street hair salon in central Bristol – add moisture and strengthen hair, which is an important consideration during the Winter months. 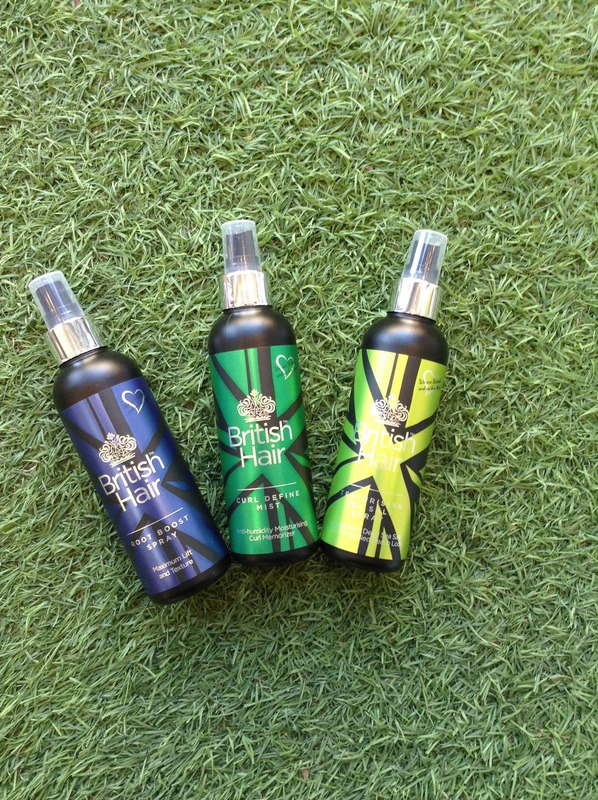 British Hair products are vegan-friendly (apart from the wax and paste), are biodegradable, and designed to be effective on chemically-damaged hair. The mask treatment takes approximately 15 minutes. It’s applied onto shampooed and towel-dried hair, then left on the hair under heat for a further 10-15 minutes, providing the perfect hair treatment for January. As a special offer on our British Hair mask treatment, we’re offering clients the mask treatment in-salon for £15 – including the 237ml pot of mask treatment product, which the client can then take home to provide further hair treatments. This gives incredible value, all for only £15 – just ask in-salon. 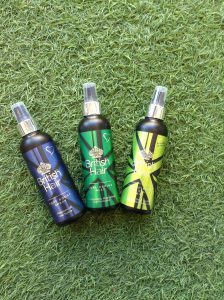 Our central Bristol hairdressers love these new hair products – and we think our clients will too. They are designed to be affordable and effective products. 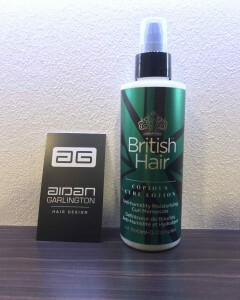 To find out more about British Hair and their full product range, please visit here. To see the full range of British Hair products, hair colouring, Beauty Works hair extensions, hair restructuring products, hair treatments, and hairdressing services we offer at our central Bristol hair salon, please get in touch here.